the forests and rivers of Eastern Washington. On Monday it was time for John, Cordelia & I to make the drive back to Seattle. John checked I-90 since we have been delayed several times traveling that road recently. And, guess what? There were hour delays because of construction, plus, they would be closing I-90 at 7:30 that evening for rock blasting. So, we were faced with a choice, take I-90 and spend several hours sitting in traffic in a hot car, or take the 410 through the valley and over the mountains, around Rainier which also takes an extra hour…hmmmm….what a tough decision. We decided, very quickly, to enjoy the last part of our vacation and headed out highway 12. When the Naches River leaves the Yakima Valley and winds up into the mountains, it leads you into a land of farms and forests, rocky cliffs and verdant mountains. It is a landscape reminiscent of cowboys and pioneers, the feel of the old west is everywhere you look. 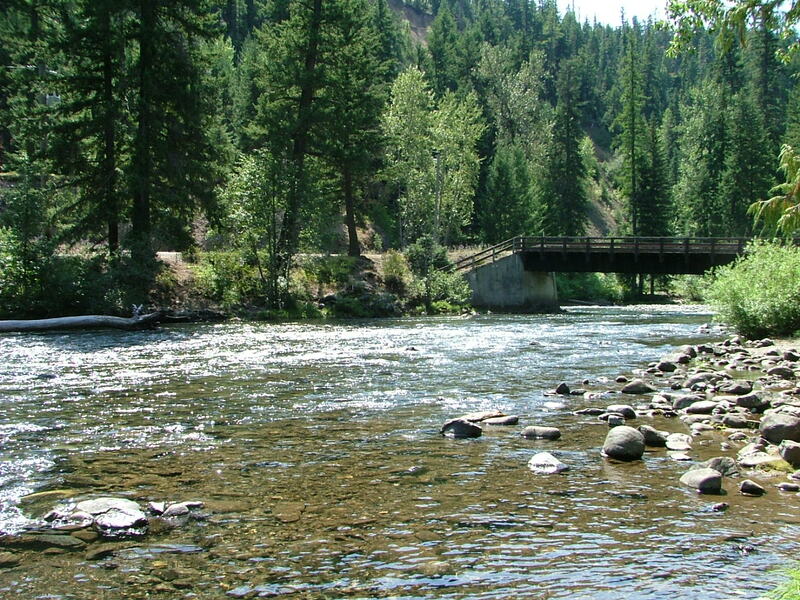 As you drive along the two lane highway (a beautifully paved road, by the way) watching the winding rivers and creeks, you will be compelled to stop, to breath in the warm smell of pines and rushing rivers, and to wet your toes in icey-cold, fresh-from-the-mountain river water. Refreshing doesn’t even begin to describe it, beautiful is too common a word for this place! Great shot! I love this area of the country. Thank you very much! I love it too, so many different and lovely landscapes in Eastern Washington.